The energy of the workplace impacts innovation, customer retention, and other critical factors that can make or break growth in both the short and long term. As a business leader, what is more important to you: your customers or your employees? It’s not a trick question – but it might as well be. While we don’t want to choose, in some ways we do every day. We prioritize the customer experience in every facet of our business, from how we build our products to how we market to end users to how we judge our success as a team and company. But when it comes to investing in the employee experience, we’ve left a lot on the table. As businesses start to grow, it’s easier and more the norm to focus attention on the measurable things that have a clear and direct impact on near-term growth goals – i.e. sales, customer service metrics, and direct marketing programs. What about the intangibles that also have a direct impact? What about the behaviors being reinforced each day across your teams? The energy of the workplace and how that impacts innovation, customer retention, and other critical factors of the employee experience that can make or break growth in both the short and long term? The question is how do we start putting as much emphasis on the intangibles and the qualities that make up the employee experience as we do the customer experience? It starts by understanding what the employee experience is and why it matters to your business. Connection: Having strong connections to colleagues, managers, the company, and the community. Meaning: Knowing my company, and the work I do, has meaning and purpose and being aligned to those, and also being rewarded in a meaningful, personalized way. Impact: Engagement is higher when you give rather than receive, and the overall employee experience is significantly bolstered from this. Employees want to have an impact on their colleagues and the community in which they live and work. This is a lot about giving back in meaningful ways, and the company helping employees do so. Appreciation: Receiving specific, real-time appreciation for the work I do from the people that matter most. While these pillars may sound like HR buzzwords, they are in fact proven concepts that will change your organization for the better. After looking at the interactions between employees and employers at companies ranging from Fortune 5 organizations to startups under 20 employees, it’s apparent that no matter the size of the company, people at every organization have an overarching desire to be acknowledged and know they are making a difference. In its essence, the quality of the employee experience depends on how much these pillars are embedded in an employee’s cumulative day-to-day interactions with everything from corporate values, coworkers, and management to customers, shareholders, and work content. In fact, the employee experience drives your business forward in two drastic ways: It has an immediate impact on your bottom line and positively affects the customer experience. The employee experience and your company culture likely don’t have their own line items on your P&L, but rather its ROI is in the operational and financial numbers you're already tracking like turnover, retention, productivity, and recruiting. When looking at turnover, for example, cost estimates range from tens of thousands of dollars to 2x the employee’s annual salary (depending on their level), and with turnover being directly tied to the employee experience, that's just the tip of the ROI iceberg. In Jacob Morgan’s Employee Experience Advantage, Morgan notes that companies that invest in the employee experience are four times as profitable as those that don’t and have more than two times the average revenue. In addition, those that invested most heavily in employee experience were included 28 times as often among Fast Company’s Most Innovative Companies, 11.5 times as often in Glassdoor’s Best Places to Work, 2.1 times as often in Forbes’s list of the World’s Most Innovative Companies, 4.4 times as often in LinkedIn’s list of North America’s Most In-Demand Employers, and twice as often in the American Customer Satisfaction Index. Essentially, an engaged, creative and energetic workforce outperforms the competition in performance, customer service, valuation, and revenue. As business leaders, we put a lot of time and energy into the experience our customers have with our brand and it’s for good reason. Harvard Business Review notes that “depending on what industry you’re in, it’s 5 to 25 times as expensive to win a new customer as it is to keep a current customer.” With today’s media-heightened society, one review, encounter, or social media post can make a significant positive or negative impact on your organization. 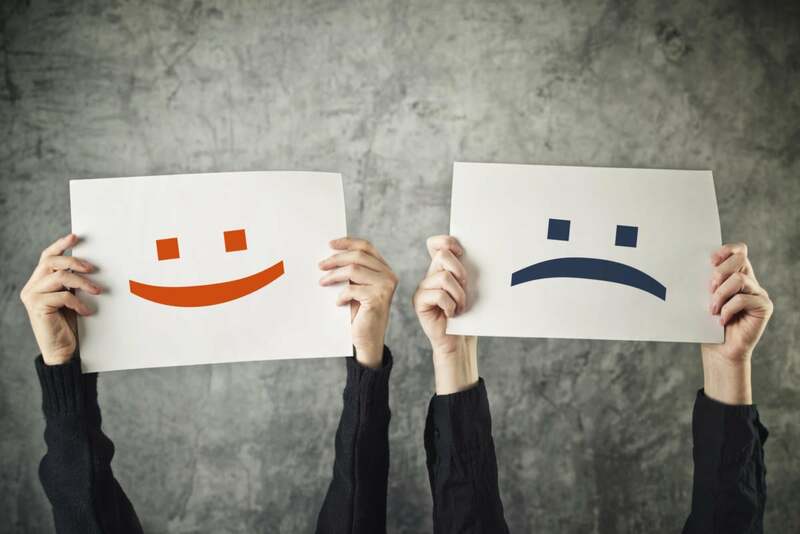 A positive or negative brand experience comes from the interactions your customers have with your employees. While creating a corporate culture where employees are committed to improving customer satisfaction makes good business sense, the only way to achieve this is to ensure your employees have a positive employee experience. As companies continue to strive for growth and profitability, prioritizing a better employee experience is the right place to start. Companies that don’t put their employees first will continue to over-invest in quick wins and tactics to woo customers and increase their brand loyalty, when in reality the best way to improve your bottom-line metrics are the brand ambassadors already working at your company. When companies invest in their people and the employee experience, the ROI on critical business metrics is clear.